Pan Seared Lamb Chops are a quick, yet impressive meal thats easy enough for everyday cooking, but impressive enough for company. 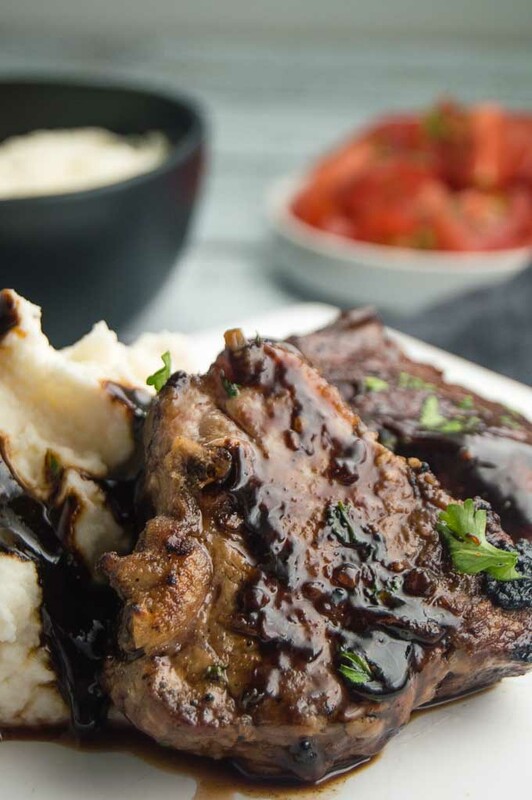 Tender juicy lamb seared on all sides then topped with a rich, sweet balsamic glaze that you’ll want to sop up every bite of. 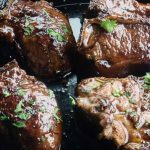 Pan Seared Lamb Chops with a balsamic glaze might seem intimidating, but the trick to lamb chops, or loin lamb chops as Im using in todays recipe is cooking them properly. You can serve the pan seared chops right out of the pan for a great presentation! How to select good Loin Lamb Chops? Buy even cut Loin Lamb chops. You want to look for even cutting across so the lamb will be the same temperature throughout. I buy my lamb at my local butcher shop or at Costco. When Im at Costco, sometimes in their hurry in cutting the meat the butchers cut it unevenly. (1 1/2″ cut on one side but the other side is 1 1/4″) AVOID THOSE. When youre cooking one side will be medium and the other medium rare. You want to have even thickness on both sides. Look for even sides of each side of the Lamb Loin Chop. A loin lamb chop looks like a mini T-bone steak. You want to have the sirloin side as large as possible. It wont be as big as the other side, but its the most tender so you want it as large as possible. Trim some fat away before cooking. 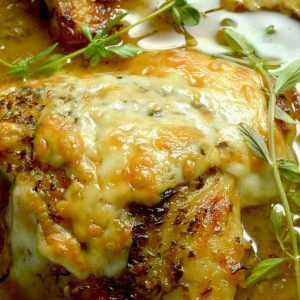 The fat will burn when you are cooking it, but the flavor is very good. You’ll want to trim larger pieces of fat down a little. You will Season the lamb with salt and pepper and a little bit of olive oil. This will be what gets seared into the edges of the lamb chops. Sear all sides of the chop. Its important not to miss anywhere. Even the end that appears to be only bone, that end will need to be seared. It will help cook the chop evenly. 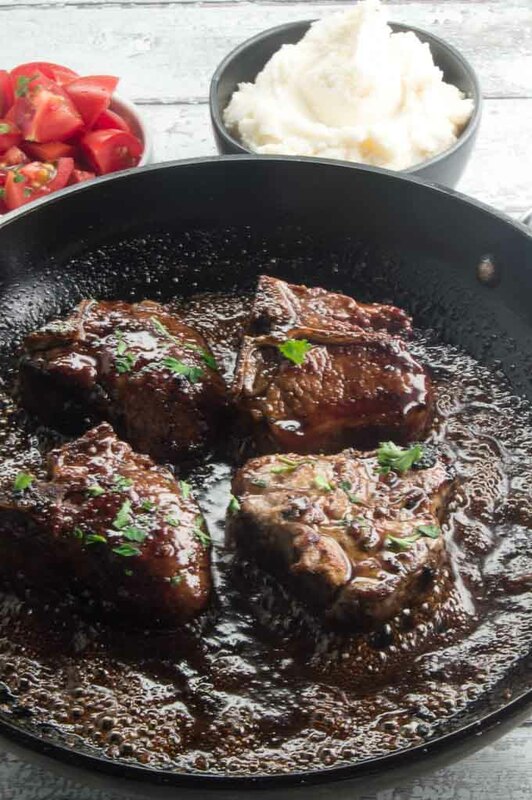 Cook the lamb chops completely then remove them from the pan to rest while you make the balsamic glaze. 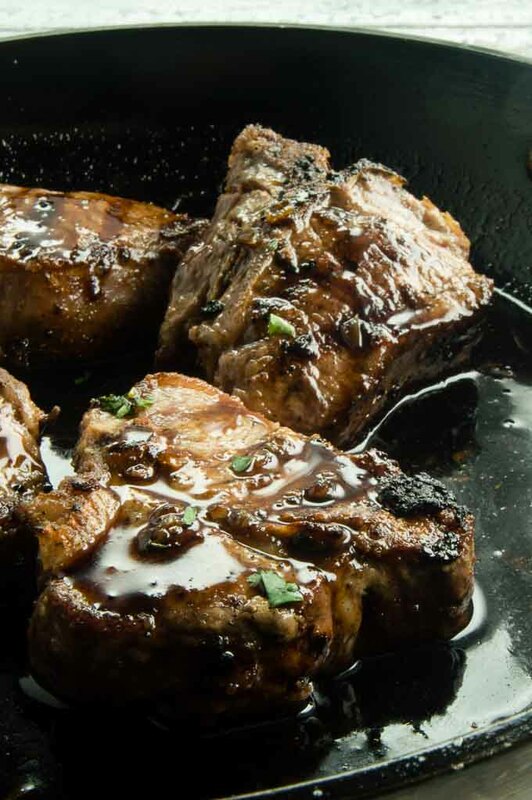 Cook the balsamic glaze in the same skillet you made the pan seared lamb chops. Doing this allows you to use all of the meat juices that are released when you were cooking the chops. 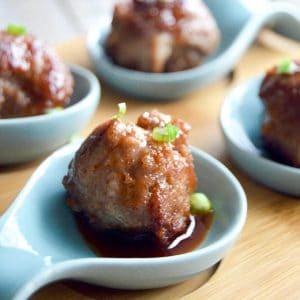 Looking for other recipes that are both easy to make and crowd pleasers for amazing entertaining? ? 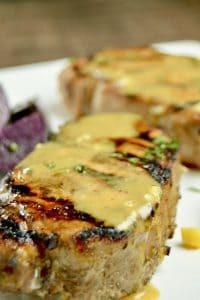 Check these recipes below Grilled Lemon Herb Lamb Chops, French Onion Chicken or Honey Mustard Grilled Pork for other options! 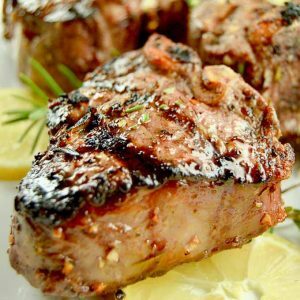 Pan Seared Lamb Chops are a quick, yet impressive meal thats easy enough for everyday cooking, but impressive enough for company. Tender juicy lamb seared on all sides then topped with a rich, sweet balsamic glaze that you'll want to sop up every bite of. 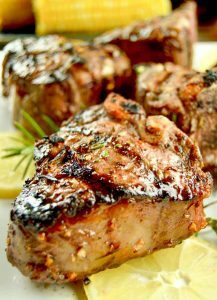 Brush all lamb chops with one of the tablespoons of olive oil then season with salt and pepper. Heat a skillet to high. Add the remaining tablespoon of olive oil to the pan and swirl it around to coat the whole pan. If your skillet is smaller, you can cook them in two batches, but when you are placing the lamb in the pan you want to allow 1" in between. Allow oil to heat up for 30 seconds then add lamb chops to pan on bone end. Cook for 2 minutes. Then tip lamb to cook each side (not the flat side, but the long smallest width side.). Cook for 2 mins more. Then tip to the other long smaller width side and cook for 2 minutes. Reduce heat to medium high. And cook first flat side for 4 minutes, then flip to the other side and cook for 4 minutes more. You can either cut into one to see the temp, or use a thermometer to check for doneness. 130° for medium rare. Remove and place onto a plate and cover with foil to allow them to rest while you make the balsamic glaze. Repeat until all lamb chops are complete. Add bourbon to pan to deglaze the pan. Using a wooden spoon scrape up all the bits that have attached to the pan to incorporate them into the sauce. Reduce the heat to medium. Then add the minced garlic and cook for 1 minute. In a separate bowl mix vinegar, brown sugar, cayenne pepper (optional) and the melted butter. Stir to mix completely. Add vinegar mixture to the pan and continue to stir into garlic/bourbon mixture. You will cook for about 5 minutes until sauce begins to thicken to s syrup like consistency. DO NOT RAISE THE HEAT or you will Harden the sauce. Once its thickened add the pork chops back into the pan to warm for a couple of minutes while spooning sauce over the top. DELICIOUS! We raise our own lamb so I’ve been through many, many recipes. 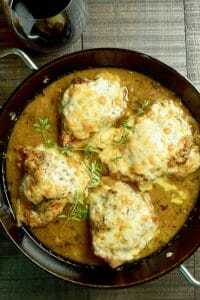 My hubby and I love this recipe!! 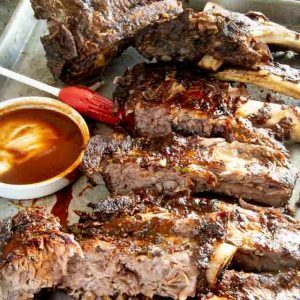 The flavor intensifies when you brown every side of the chop, the sauce ingredients are perfect! I only had 4 chops thawed but thought I would save some sauce for another recipe. Dinner was so fantastic that we had it with chicken thighs & steamed carrots the very next night!!! This recipe will be in my top kept recipes!!! Thank you!!! These lamb chops look straight up incredible! And that balsamic glaze – oh man, I adore a balsamic glaze. Such a great recipe Michele! LOVE the sound of these Michele, bourbon, balsamic and brown sugar….drooling, I bet there are so delicious! I think lamb is my favourite meat, I just love the flavour! 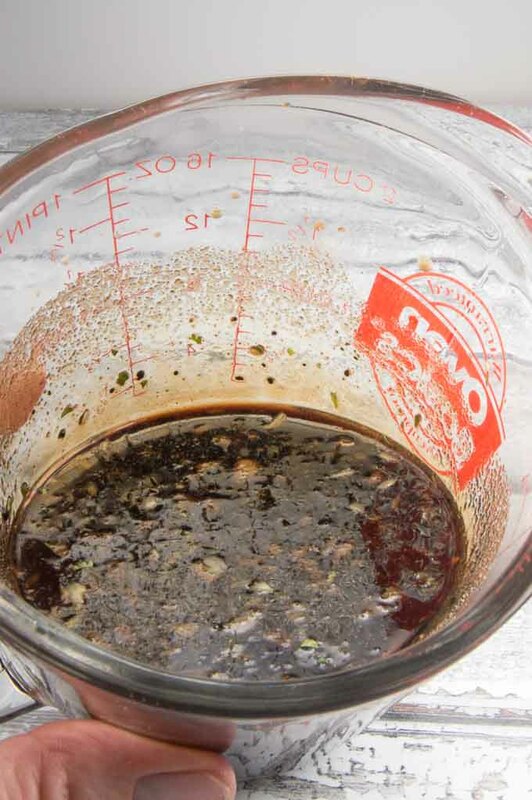 This balsamic glaze sounds like it works wonderfully! Will give this a go for a Sunday lunch for sure! I love the flavor of lamb and balsamic together! They highlight each other so well! I love this dish, elegant and delicious! I’d never deglazed with bourbon before. I think I will use it ALL THE TIME now! Thanks for the great recipe.